Like many others, I have not been an advocate of using Direct Query, it has long had many concerns diminishing its’ overall usefulness with one of the major key issues being performance. The Microsoft Power BI team has made major strides to mitigate the concerns around performance by adding two new key features: Composite Model and Aggregations. This blog will not discuss aggregations. However, we will briefly discuss the composite model and how we can use this to make Dynamic Security better. The composite model simply allows users to import data and use Direct Query in the same data model. This has long been a point of contention for Power BI users because combining these two features into one model adds a lot of value. In this blog, I am going to briefly explain how this model helps to improve dynamic row level security. So why would the composite model make dynamic security better? Great question. 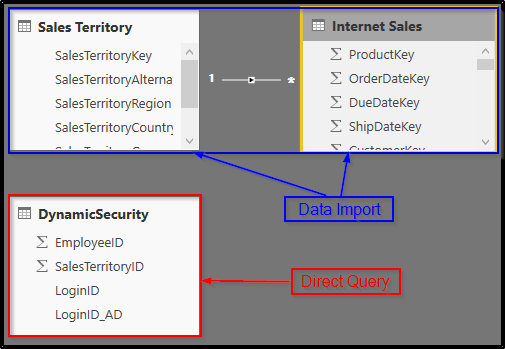 Historically, I would always import data into Power BI, including the dynamic security table. The problem with this method is what happens with the security of the data if the model is not being refreshed? For example, I may reassign which users have access to which sales territories in my security table but if data models in the service are not being refreshed then the security is not being refreshed and thus users will have access to data they should not have. 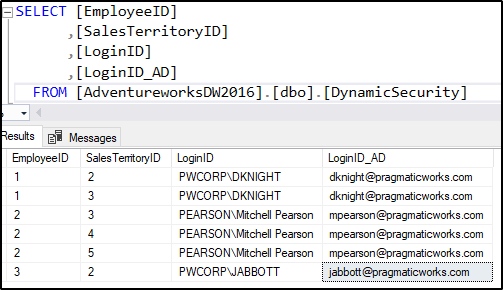 Now, with the composite model I can still import all my reporting data but then I can set up a direct query connection to my dynamic security table. This means that all of Power BI models using this table will always be up to date! Hopefully you can find many more useful scenarios for the composite model! Thanks for reading my blog! This will be very useful! I assume this is a precursor for when composite models can be published? or is there a way to utilize this with desktop that the user could not simply bypass the security? Row Level Security currently only works if you are sharing your data models through the Power BI Service. Unfortunately, if you are sharing via Power BI desktop there isn’t a way to stop users from modifying and updating the existing roles to remove all security. Thanks!